Ferla Vending Bikes & Catering Carts: Rent Us For Your Next Event! For your business, events are a big highlight. They may be the cornerstone of your venture, or maybe just a way to get out of the office for a few hours and celebrate your recent accomplishments with your colleagues. Either way, a properly planned event will be fun and provide value for your client or company. That’s why we love working in catering and events here at Ferla Bikes. Whether you are looking to host an espresso cart for your corporate party, create a fun bar cart for your backyard wedding, or include an interactive mobile cafe at your company’s marketing event, Ferla has a creative and unique solution for you! 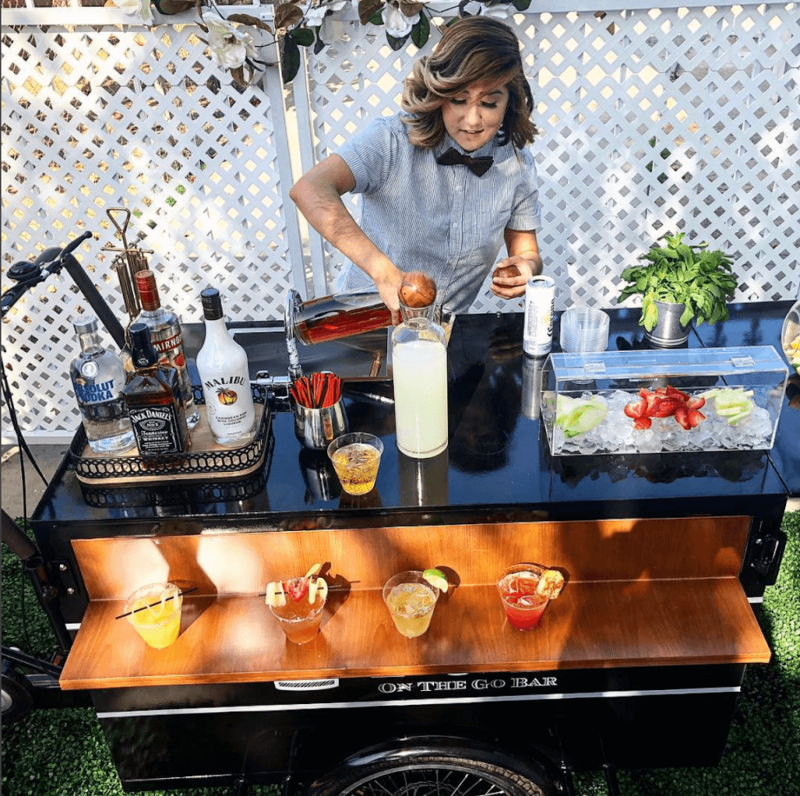 This Ferla 2 was used by a mobile bar service for an event in southern California. With a simple removal of the canopy, some branding customization, and repurposing some of our equipment (we love how they used our BPA-free acrylic display case as an ice chest! ), they were able to create a beautiful and professional-looking catering cart for serving cocktails. A cart like this one is perfect for weddings, backyard get-togethers, or your next corporate event in Los Angeles! Another way that our Ferla 2 has been used was as a coffee cart for BMW’s Group Dialogues Event. Several students and innovative thinkers discussed ways to improve mobile transportation by using sustainable solutions. 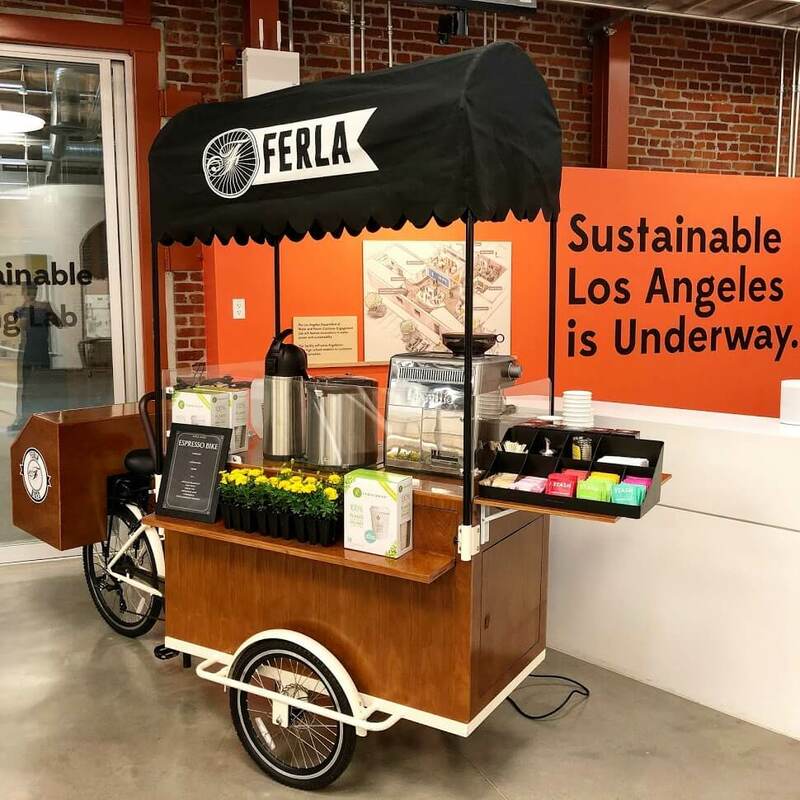 Ferla 2 was displayed as a possible solution to fix urban mobility in Los Angeles, but it also served as a great coffee catering cart for the event! Ferla 2 was recently featured at an influencer event in Los Angeles. 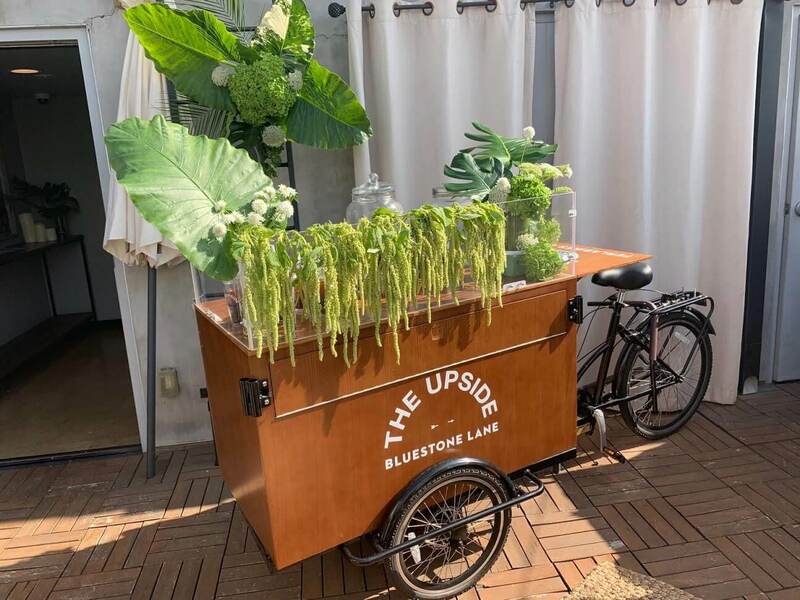 Bluestone Lane used the bike as a coffee cart for the event, and it was a huge hit. The bike was fully decked out in beautiful floral additions, and complete with Bluestone Lane’s logo clear to see on the front of the bike. What a great addition to an awesome event! Looking for a unique catering bike for your next event? Contact us today to learn how you can purchase or rent a Ferla Bike!